Poverty stricken students of 1968 rolled their own: not for them the cigarette temptations of a pack of 10 Embassy. Oh no – their tobacco thrills came hand rolled, usually in Rizla papers, which contained a kindly reminder to the user when they were about to run out. Typed in bold red on a yellow interleaf paper, it stated ONLY FIVE LEAVES LEFT. 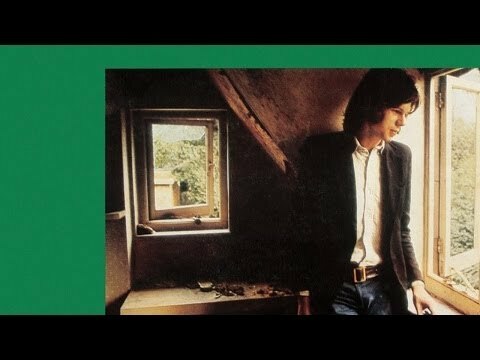 It was from this reminder that Nick Drake’s debut album derived its name. With its bucolic autumnal shades, it heralded a new type of signing for Island Record, being neither traditional enough to be folk, not weird enough to be psychedelic. Drake avoided the pitfalls of what was expected and collaborated with producer Joe Boyd, orchestrator Robert Kirby and recording engineer John Wood to make a singular and almost unique record – which was released to a largely indifferent media. However, a few leaves fell in the right place and, despite Nick’s early death at the age of 26 in 1974, his reputation slowly escalated into the world-wide fame he enjoys today. Originally the album was released on vinyl and cassette. But these formats became redundant with the advent of CDs, and then downloads. For those still wanting the album in its original form, the choice was limited to a highly priced original pressing, or a poor quality bootleg. But now, Island Records is completing the ReDISCovered vinyl set of Nick Drake’s albums with this boxed replica of his debut album. As with the other two albums, it was remastered from the original un-eq’d quarter inch master tapes by John Wood at Abbey Road Studios and pressed using wholly analogue processes onto 180 gsm virgin vinyl. The sleeve is an exact replica of the first edition of the album and is coupled with a period shop poster, lyrics to two of Nick’s songs and options to download the tracks in MP3, Hi-Res FLAC files or the new DFD (dubbed-from-disc) files for that authentic listening experience. As with the previous two titles, the boxed edition is a ‘limited’ edition – the vinyl will be issued without the box and extra materials at a later date. Wednesday 19th June marks the 65th anniversary of Nick’s birth and the BBC are marking this with an hour long radio broadcast dedicated to Nick’s music. Ever since the initial broadcast of the David Barber produced BBC radio documentary on Nick, way back in the mid 1990s, BBC Radio 2 have quietly championed Nick’s music as well as traditional British folk music in the broadest sense of that term. Next Wednesday is no exception as Mark Radcliffe will interview Joe Boyd and play various versions of Nick’s music, – you may even get to hear the odd Molly Drake song too! The show is usually available on-line for a week after broadcast.